Dearborn Heights Window Replacement | Dearborn Heights Windows | Dearborn Heights Home Window ReplacementMcGlinch & Sons CO.
McGlinch & Sons is known as the leading home window replacement company throughout Southern Michigan. We are a family owned and operated window replacement company that has been serving Michigan with the best windows since 1917. 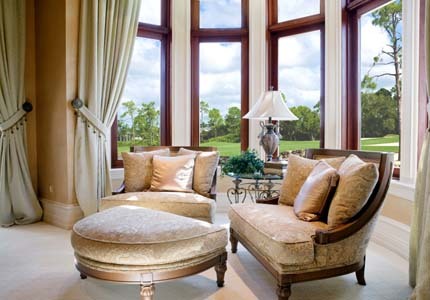 McGlinch has the educated professionals that will help you find the perfect window replacement. We offer the best products in windows from storm windows and wood windows to a window replacement! McGlinch is dedicated to providing customer satisfaction, which is why we offer free estimates on home window replacement services. McGlinch invites you to be the next satisfied client in Dearborn Heights. We offer the window replacement options that can provide up to 74% more energy efficiency. McGlinch has the highest standard out of all competing window replacement companies in Dearborn Heights. Dearborn Heights, Michigan is a city located in Wayne County and is part of the Detroit Metropolitan Area. Dearborn has 57,000 citizens, and whenever they need a home window replacement, they know to call McGlinch! Our windows are built to last and to withstand even the roughest Midwest winters. Find home window replacements, storm windows or wood windows with a large variety of options and sizes at McGlinch. McGlinch has over 100 years worth of experience in providing excellent window replacement services and window repair services. McGlinch delivers the most reliable and gorgeous window replacement options to all Dearborn Heights clientele. Quick window services, reliable window replacement, and affordable prices are what makes McGlinch number one. You can count on us to provide professional home window replacement services that are reasonably priced. Get started with the top window company by calling McGlinch & Sons and ask about your free estimate!